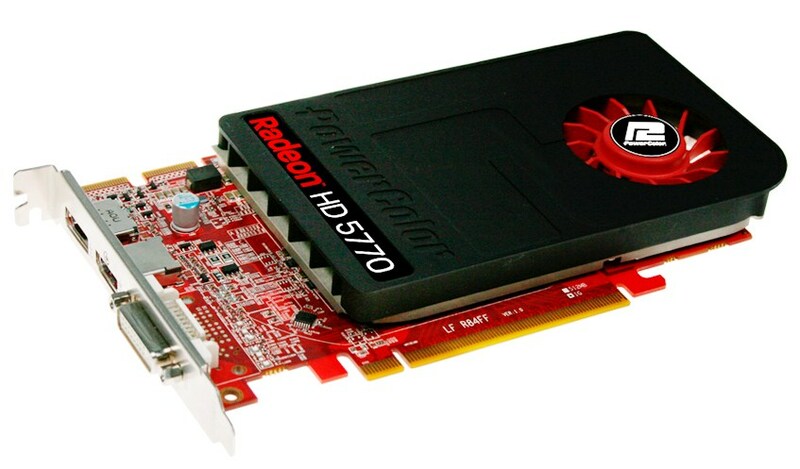 Single Slot HD 5770 Released by Powercolor. 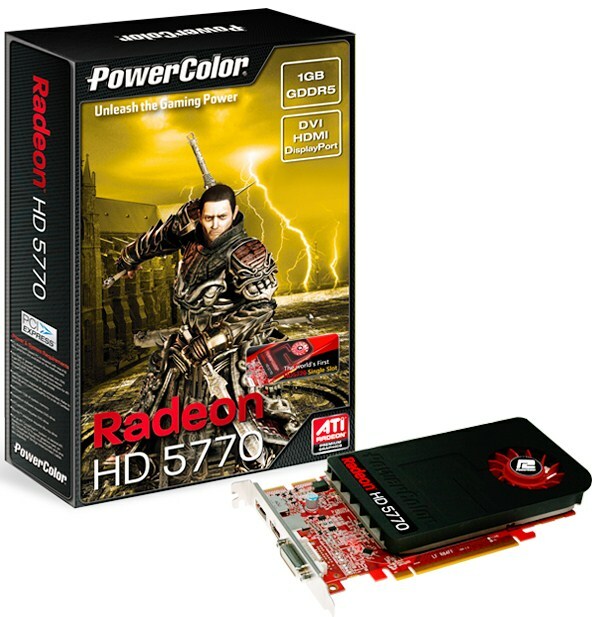 Powercolor has released a new HD 5770 which will feature a single slot design. The HD 5770 Single Slot Edition will be equipped with a single slot heatsink fan which is ideal for those users who have limited space in their PC case while delivering unsurpassed gaming performance. The card is clocked at 850MHz for the GPU core speed and 1200MHz memory clock. The single slot design of the card and the fan is said to cool the card efficient and a single slot design also offers you to set up four way crossfire configuration for the PC enthusiasts. The price is yet to be known but the card will be available on 13th August.